One of the single greatest benefits of having a properly ventilated attic is that it discourages the growth of mold and mildew. When hot, stagnant air builds up in the attic, the humidity rises and moisture begins to settle on exposed surfaces. As you probably know, moisture is the leading cause of mold and mildew, and allowing it to accumulate in your attic is a serious hazard to you and your family’s health. 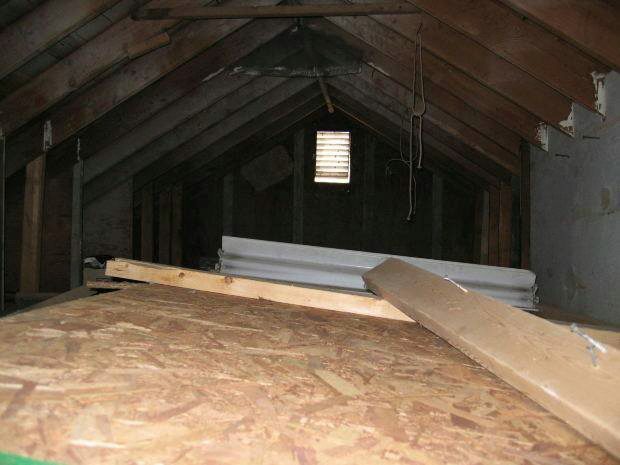 Assuming you have boxes, furnishings or items stores in the attic, proper ventilation will help protect it from damage. Again, the excessive moisture of a high-humid attic can ruin clothes, boxes or practically anything else you have stored here. It’s not something that happens overnight, but months of exposure to high levels of humidity will inevitably damage these items. The good news is that you can protect the items stored in your attic by flushing out the old air and replacing it with fresh air. Attics that suffer from inadequate or nonexistent ventilation tend to heat the roof shingles to “unusually” high temperatures. And when the shingle asphalt continues to melt and re-harden day after day, it will lose some of its strength and durability. It’s not uncommon for attics with poor ventilation to see temperatures of 150+ degrees Fahrenheit during the peak summer months. This extreme heat may travel through the roof where it literally cooks the shingles and causes them to melt. The heat from the attic combined with the sun’s powerful UV rays is a combination that will lead to the destruction of your roof’s shingles. The bottom line is that you need to keep your attic ventilated to protect your shingles from such damage. Homes with proper attic ventilation are typically more energy efficient than homes without attic ventilation. Moving the hot, humid air out of your attic and replacing it with fresh air is a simple way to make it more energy efficient. It’s not going to have a dramatic impact on your monthly utility bills, but it’s just one more step you can take to lower your overall energy usage.